No real entry today but a plethora of stuff harvested from this damn fine procrastination device called the internet. 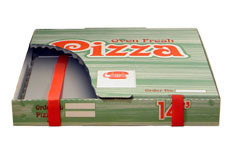 PowerPizza - This site has some fictional products and I can't tell whether this is one of them, but either way it's a top idea. yidaho's BB5 Potato Supermarket - Photo-shopped pictures of current Big Brother contestants. tabasco.wmv - An advert for Tabasco. Funny. Commercials - A collection of humorous television commercials. I like you - I do. I really like you.